1. About the Japan WINConference Women are the key to a thriving Japan. They are initiating, leading and creating projects and organisations across different fields, industries, companies, communities and nations. Let’s expand that! Explore how women are expanding possibilities for others and themselves. We will look at how to accelerate this journey, create an optimum work-life balance, enrich our skills, boost our confidence and grow into feminine, authentic and global leaders. Immerse yourself into an exchange of practices with companies embracing diversity, women taking charge and initiatives on creating inclusive cultures come alive. This event will provide you with inspiration, knowledge, practical tools and contacts to help you succeed and prepare for the future. HFH Japan photo exhibition in Osaka. See HFH Japan’s work in Iwate and Miyagi since 2011. 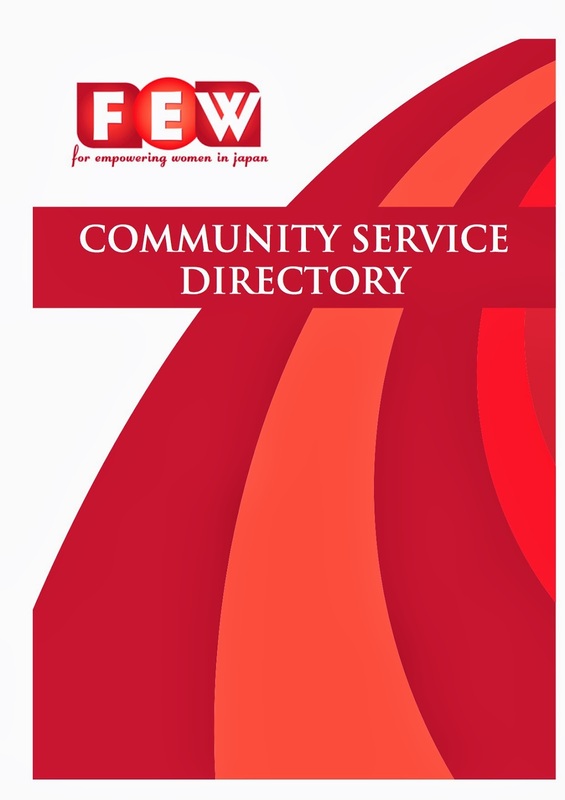 Add your organization to the FEW 2014 Community service directory! For LUSH, making money, respecting people, animals and the environment are not separate ideas. CSR is not a concept that needs to be integrated into their business because it is their approach to business. From their production chain to retail business, LUSH aims for ethical and responsible operations. Circumnavigating the globe several times coordinating international projects for peace, conflict resolution, sustainability and many more, Maho works as a Charity & Campaign Manager coordinating ethical campaigns on human rights, animal rights and environment. The AST in association with the Scotch Malt Whisky Society - the world's leading whisky club - is hosting the 1st AST Scotch Whisky sampling evening at the University of Tokyo on Saturday March 15th. This is your chance to learn more about whisky and taste a range of exclusive whiskies and limited bottlings that are usually only available to Scotch Whisky Society members and that are not sold in retail stores. The session will include a welcome glass of Scottish craft beer, an explanation of the SMWS and then a chance to sample no less than a dozen whiskies to be released on the SMWS's Spring List. Also we have chosen a venue that will allow you to enjoy a beautiful spring day (weather permitting), while sampling some wonderful whisky and beers. Objective: Develop skills for organizing & managing a Nonprofit NGO. Overview: An intensive course focusing on the development of professional skills needed to manage organizations. Course themes include project, organizational structure, human resources, development, funds, fundraising and day-to-day operations management. Online readings introduce basic skills, techniques, and case studies. Participants are expected to be active in class discussion, group work and complete presentations. Language: All course materials are in English and classes will be conducted in English. 1-1 Introduction to course and participants. Introduction to nonprofit NGO and the mgt skills needed. Register Online for Nagoya RFTC/WFL 2014!